Rathgall Painters Guild launches their second exhibition of oil paintings in the Shillelagh Room in Rathwood Home and Garden World on Saturday 29th September at 2.30 pm. The artists are mentored by Jacinta Crowley-Long, an internationally known painter who specializes in rural landscapes and equine and canine portraiture. Rathgall is the site of a Bronze-age Hill Fort which, from the evidence of archeological digs, was home to craftsmen and artisans from at least the Bronze-age period. The Rathgall Painters Guild continues this tradition in the visual arts. 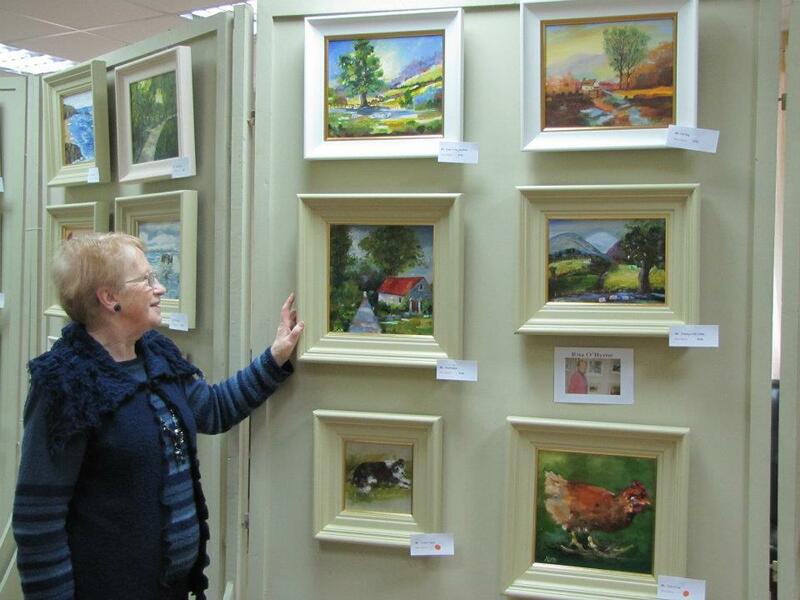 The group, many of whom have been painting for a number of years in the Rathgall Coolkenno area, approached Jacinta in September 2010 with view to attending master-classes in oil painting, to seeking encouragement in facilitating their ambitions in becoming a vibrant and working Arts Society and furthering their careers in the arts. The painters meet up on a weekly basis for tuition, appraisal of work and group discussions on the visual arts in general. Over two years they have achieved a prodigious output of highly polished works to a professional standard, learnt how to frame their pieces appropriately and promote themselves and their artwork. This year they have also painted en plein air and are further gaining confidence and in technical ability. Dr. Jacinta Crowley-Long will again mentor the group this autumn with exciting new projects in mind. The exhibition will be officially opened by Jillian Godsil well known author and PR consultant.